Jeremy Chardy booked his spot in the third round at the Miami Open with a straight-set win over fellow countryman Richard Gasquet. Jeremy Chardy dumped fellow countryman Richard Gasquet out of the Miami Open with a 7-5, 6-1 victory to book his spot in round three. He will now face the winner of Grigor Dimitrov. Richard Gasquet made a quick start to the match by breaking his countryman Chardy to love, which was followed up with a hold of serve for a 0-2 lead. The 31-year-old continued his good, early form and grabbed his second break point of the set at 30-40 with Chardy netting. He then saved the breakpoint to send the game to deuce. However, Gasquet brought up a second break point to make it 0-3 before saving a break point en route to consolidating once more for a 4-0 lead. Chardy eventually stopped the rot of games lost by holding to get on the board for the first time at 1-4. The world number 90 then earned two break back points at 15-40 with a forehand passing shot winner. At the first attempt, he broke and followed it up with a hold of love to go just the game behind at 3-4. The momentum switch saw Chardy on top and he took advantage by continuously pressurizing Gasquet and the eighth game saw Chardy with even more chances to break. After missing his first chance, he broke Gasquet to win four straight games for 4-4. With neither player looking solid on serve, Gasquet broke his fellow countryman to serve for the set. But the world number 90 missed a total of four break points and saved two set points before eventually breaking Gasquet at the fifth attempt. Chardy held serve for the first time in three games and then broke Gasquet to win the set 7-5. With the momentum once again with Chardy, he began the second set with a hold of serve to love. Two break points arrived for him in the second game with Gasquet sending a forehand into the net. The first of two break points were saved with an excellent serve and then volley. However, an unfortunate double fault handed the break to Chardy, who after winning the first set looked in control. He was forced to save a break point but nonetheless, consolidated to make it 3-0. In the longest game of this second set, the 31-year-old missed his opportunity to break Gasquet, who then went on to hold his first service game to make it 3-1. 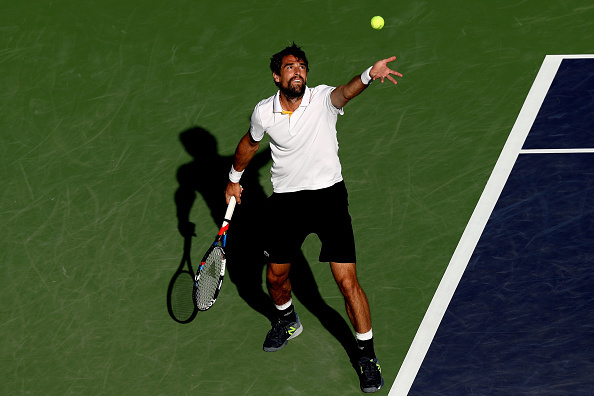 Chardy continued to dominate his fellow Frenchman and a comfortable hold made it 4-1 in his favor. Honing in on the third round, the 31-year-old would pile on more misery to Gasquet by breaking on his second breakpoint by catching the line with a wonderful backhand passing shot to make it 5-1. 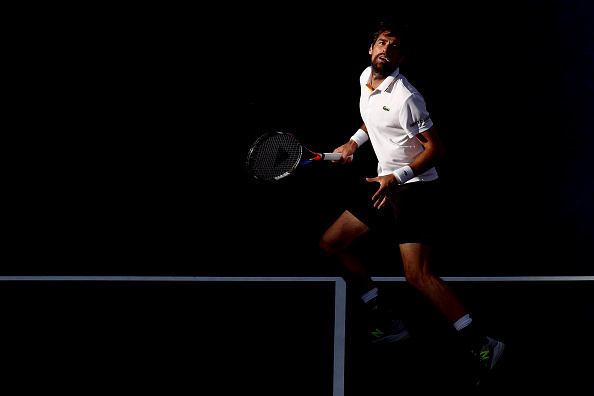 After serving up a double fault to make it 30-all in the seventh game, Chardy's serve then came to fruition as he served up an ace to reach match point. An unreturnable serve clinched the match for the world number 90 who made it back-to-back third rounds in Masters 1000 this year following Indian Wells. Meanwhile, Gasquet has failed to win his opening match in three tournaments, bringing his win-loss record to 8-5 this year.